Accordingly, a new designed Nokia has been published and immediately attract the attention of every Nokia fan. 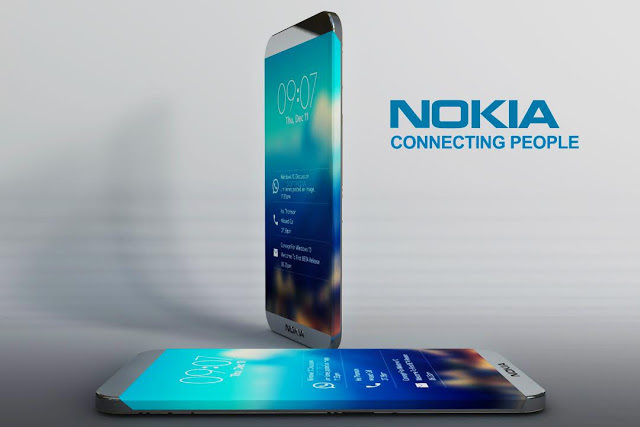 After Nokia Pixel and a Nokia flagship, another Nokia smartphone seems to enter the market soon: the Nokia Edge. Most of up-coming phones from Nokia are predicted to mainly made by Nokia’s phone home HMD Global and this smartphone will not be out of that group. However, a Nokia smartphone is always out-standing and adorable. As its name suggests, the Nokia Edge owns a bezel-less screen that the edges expand in both sides, top and bottom edges are also minimized to increase your visibility of the screen. Nokia Edge has a metal full body with durable material. The most interesting and extra-ordinary feature in Nokia Edge stays at the top edge where there is a secondary monitor to display messages, or users can access the application icon quickly.out!The specifications of Nokia Edge hasn’t been fully unveiled but you will be surprised by what we got about this stunning beast. In the front of the handset, we will see the logo of Nokia at the bottom and a 12MP front camera for selfie picture. In the back of the phone, there is a fingerprint under the 23MP main camera. In addition, the machine is also equipped with a USB Type-C at the bottom edge and there is no 3.5 mm headphone jack because it would support wireless headphone. Nokia Edge is most likely to run Android 7.0 Nougat and has high memory capacity. As we have waited nearly one year to see the comeback of Nokia with Nokia D1C that will be released in the next February. So the earliest we can see this phone may be at the end of 2017. However, we will probably get the phone on hand much sooner because Nokia is no longer under the acquisition of Microsoft. As other Nokia phones, this phone is expected to have a reasonable price. So let’s wait and see!